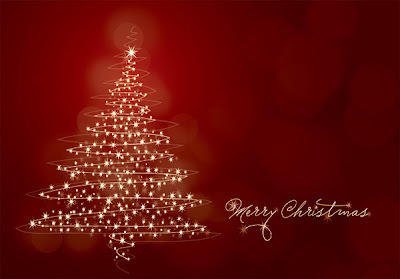 The first day of the New Year marks a date stuffed with ones – 1/1/11. Because there's no better way to celebrate such a uniquely stuffed day than with the one and only Pizza Hut® Stuffed Crust Pizza®, Pizza Hut is giving away 1,111 Stuffed Crust Pizzas on 1/1/11. This deliciously fun offer kicks off as Pizza Hut launches a special deal on their signature Stuffed Crust Pizza – for a limited time, a 1-topping Stuffed Crust Pizza for just $10. Today's Housewares Deals daily deal is a Pedrini Stockpot Set of an 8 quart and 20 quart pot with lid for only $25 ! 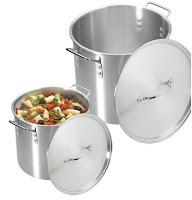 Each pot has an aluminum body to conduct heat evenly and thoroughly. A nice pot of hot soup or chili sounds really good right now! 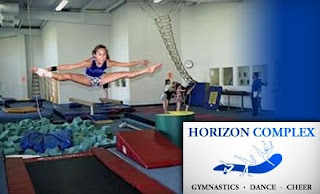 * For $20, you get enrollment for one child in a series of four weekly gymnastics, dance, or cheer classes at Horizon Complex (a value of up to $117, including annual fee). * For $20, you get a one-month adult membership to Escape Fitness Center (a $93 value, including initiation fee). * Limit 1 per person, may buy 4 add'l as gifts. New members only. Must be activated by 6/30/11, expires 1 month after activation. Gymnastics classes not valid on Levels 3 and up. Must be 16+ for adult membership, 18 or younger for gymnastics classes. * Limit 2/person, Limit 1/order. Valid only for option purchased. 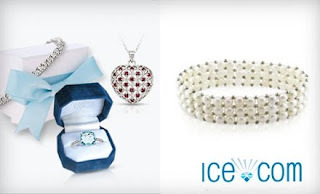 Not valid for sale items, engagement rings, watches, Tocori products, or towards monthly payment plan purchases. Tax & shipping not included. No cash back. Not valid with other offers. Looking to rent some movies? Head to Blockbuster Express and rent two with code HNY987 and receive one FREE through December 31st. Make sure you have 3 movies in your cart before applying promo code. Use this code XU14A at Blockbuster Express to get a FREE movie rental now through 1/7/11! Movie Code on the first Monday of every month. -Blockbuster: Get a free Movie when you register for New Release e-mails. 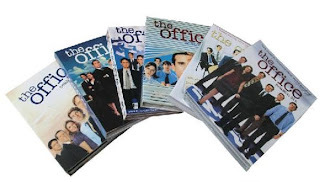 TV on DVD - Save up to 67%! Save up to 67% off select series of TV on DVD now through January 8th. Many of the titles also include a $5 Amazon Video-On-Demand credit when purchased! Housewares Daily Deal - Wine Gift Set for $18! Today's Housewares Deals Daily deal is a Wine Lovers Gift Set for $18! This Wine Lovers Gift Set includes everything needed to toast family and friends during the holiday season. The set of 4 York wine glasses are specifically designed to bring out the intensity of the aromas of wine and to help direct it to specific parts of the tongue. The clear glass lets you enjoy the delicate color of white wine, and the long stem will keep the heat of your hands away from the glass, preventing the wine from warming. Dishwasher safe, but hand washing is recommended for best results. 10 ounces each. The 4 piece Pedrini wine set allows connoisseurs to both open and preserve their wine. 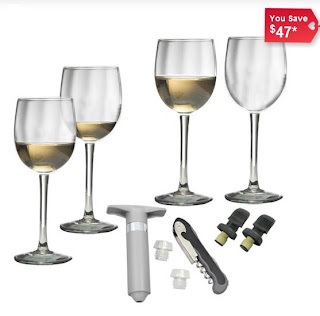 The set includes: pocket corkscrew, wine saver, and 2 wine sealers. Also included is a set of 2 wine stoppers. 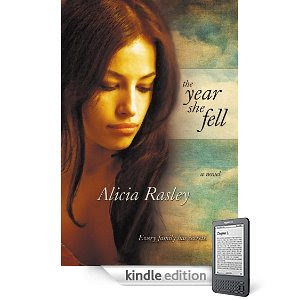 FREE eBook Download - "The Year She Fell"
Amazon is offering a FREE Kindle download of the book "The Year She Fell " by Alicia Rasley. This is a limited time offer with a value of $12.95. See the top 100 FREE Kindle eBook downloads HERE. If you don't have a Kindle reader, you might have a compatible device so that you can also enjoy these FREE eBooks. Go HERE for the full list of Kindle eBook compatible devices. I just downloaded mine for my Android mobile phone. If you or someone in your household received an mp3 player for the holidays, here is a great way to get some new music on your device. Amazon is offering over 1,000 full albums for only $5.00 each, now through January. Check them all out HERE. Every little bit makes a difference and with this Groupon deal, you can help change a child's life. For $15, you can make a $30 donation to Save the Children, the leading independent organization for children in need. * 100% of donation goes to Save the Children, a 501c(3) organization dedicated to helping children in need. Donations will be matched up to $225,000. Consult a tax professional to determine whether your Groupon donation is tax deductible. 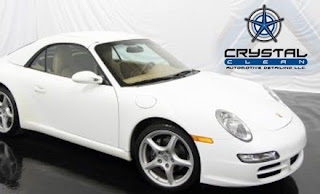 Today's Groupon side deal : for $79, you get an express interior detail and an exterior hand wash at Crystal Clean Auto Detailing on Eastern Avenue (up to a $207.98 value). * Limit 1 per person. By appointment only. Must use in 1 visit, no cash back. Not valid with other offers. 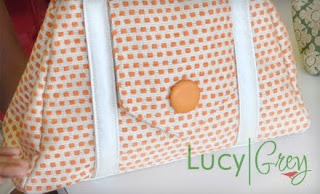 Keep your valuables close at hand with today's Grand Rapids Groupon : for $25, you get $50 worth of customized handbags from Lucy Grey, an online boutique where visitors design their own purses. * Limit 2 per person, may buy multiple as gifts. Limit 1 per order. Not valid toward private parties. Tax and shipping included. Must use in 1 order, no cash value. Not valid with other offers. 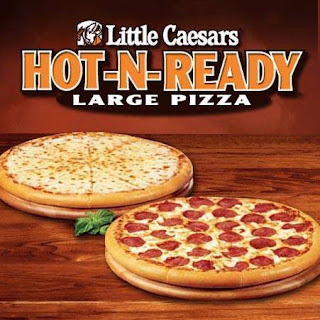 BOGO Hot n' Ready Pizza at Little Caesar's! Skip cooking tonight with this great deal from Little Caesar's! Buy 1 Hot n' Ready Pizza, Get the 2nd FREE! Coupon expires December 28th. Today's Housewares Deals daily deal is a Block Ice Vodka Glass Set by Mikasa for only $15! 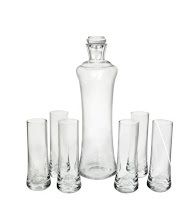 Set includes six 4 ounce glasses and 26 ounce decanter with stopper. Grand Rapids Groupon Deal + Side Deals! 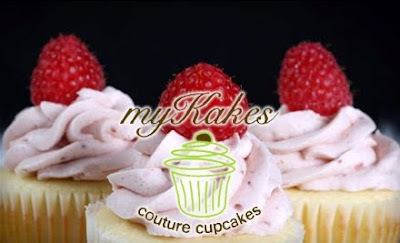 Today's Grand Rapids Groupon : for $15, you get one dozen cupcakes or two dozen mini cupcakes (a $30 value) delivered from myKakes couture cupcakes. * Limit 2 per person, may buy 5 additional as gifts. Limit 2 per order. Valid only within 10 mile radius of Holland 49423 area. $15 additional fee for outside radius. Must buy 2 dz. cupcakes or 4 dz. mini-cakes if outside radius. 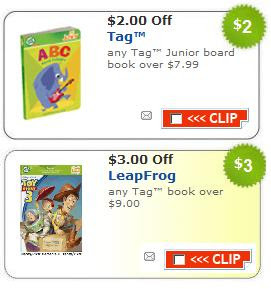 If your little one received a TAG or a TAG Jr. for Christmas, here is how you can save on some TAG reader books. These coupons don't expire until February 15th. Save $5.00 on Tassimo T-Disc 2-Packs! Did you receive a Tassimo Brew Machine for Christmas, or do you already have one? Here is a great deal on the expensive T-discs. Right now on Amazon.com you can get a 2-pack of Tassimo T-Discs for $5.00 less than they are marked when you apply promotional code 'TDISC555' at checkout. 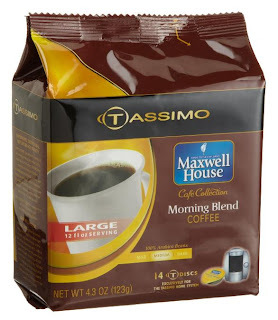 I just snagged 2 packages of the Maxwell House Morning Blend for $6.98 SHIPPED, because I have free 2-day amazon prime shipping. What a steal! Thanks for the heads up Jodi! Today's Housewares Deals daily deal is a Farberware Speed Prep One Handed Slicer with 4 Eco Life Prep Bowls for $15! 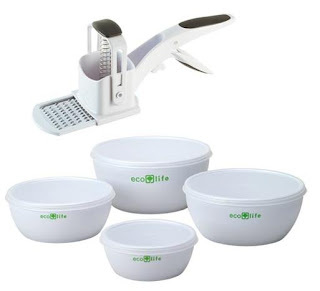 This Speed Prep One Handed Slicer with Set of 4 Eco Life Prep Bowls is the ideal set for your kitchen prep tasks. The Speed Prep One Handed Slicer lets you quickly slice, grate, or julienne vegetables, fruits, cheeses, and more with just a simple squeeze, making time-consuming food preparation tasks fast, easy, safe, and fun. This handy kitchen gadget features an ergonomic handle for comfort, and the stainless steel blades are safe and easy to change. It includes 3 easy-to-change blades and a blade storage holder. The Eco Life White Prep Bowls are made from 70% plant materials, which conserves oil consumption and uses less fossil fuels. Set of 4 bowls includes: 1, 2, 3, and 4 cup sizes, with a clear storage lid for each. One Handed Slicer is dishwasher safe; Prep Bowls are top rack only dishwasher safe. Today's Grand Rapids Groupon deal : for $20, you get two personalized 8"x11" wall calendars from Shutterfly (a $21.99 value each). Your two calendars must be redeemed at the same time; this Groupon is valid until February 15; after that it may be redeemed for one calendar. * Limit 1/person. Valid for two 12-month wall calendars only. Must use in full in 1 order. Not valid for desk calendars or calendar posters. Tax, shipping & handling not included. View complete terms. 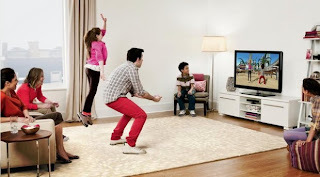 Did you get a Kinect for Christmas? Amazon.com is having a sale on select Kinect games - Buy 1, Get 1 50% Off! Check HERE to see the eligible titles. You must have 2 in your cart for the discount to apply. Wishing each and every one of you a very Merry Christmas! 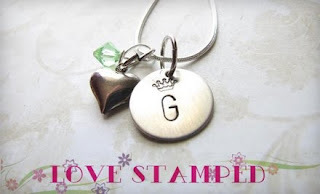 Today's Grand Rapids Groupon deal comes from a West Michigan business : for $12, you get $25 worth of personalized, hand-stamped jewelry from LoveStamped. This Groupon includes the cost of shipping. I purchased one of these the last time it was available and I LOVE mine! It also makes a great gift! * Limit 5 per person. Limit 1 per order. Not valid until 12/29. Online only. No cash back. Not valid with other offers. Shipping included. Return Policies - In Store and Online! I know it's a little early to be giving this information...or perhaps a little late! 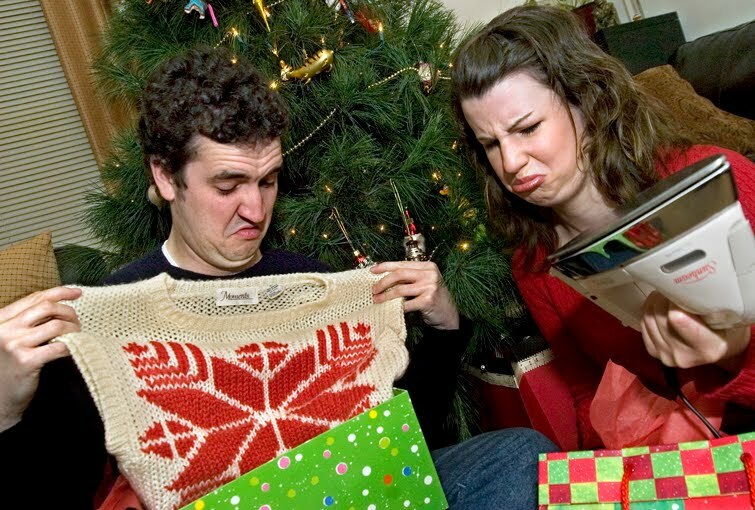 The thought of returning or exchanging a gift after the holidays can be daunting. Here a some tips that will help you through the process. 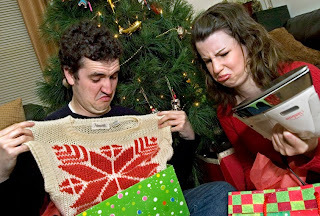 * Do you NEED to return a gift the day after Christmas? The lines are inevitably long and tedious. Can it wait for a few days? * Watch for time constraints vary from Retailer to Retailer (i.e. within 30, 45, 90 days...). * Make sure you have all your receipts. Some stores like Kohl's and Wal-Mart will offer an exchange with no receipt. * Make sure you have all tags and original packaging. Some Retailers will not return Games, CD's and Movies that have been opened. * As you head out to the store, remember to take a deep breath and pack an extra dose of patience. * Some Retailers will allow you to return your Online Purchase In-store, which will save you time and money. Again, check for store policies below. * Look for the Packaging Slip from your purchase. It should contain clear instructions regarding your Return. * Again, make sure you have all tags and original packaging. Some Retailers will not return Games, CD's and Movies that have been opened. * Keep all emails and receipts as a paper trail in case you have any issues with your purchase being exchanged or a return of funds. Head on over to 'Like' IZZE on Facebook and you will be able to print a $1.00/1 4-pack coupon for your favorite flavor! While you're there, don't forget to 'Like' West Michigan Mommy!